This review is about item#37662222. Easy to wear and lightly purchased multiple times. I hope the product will not go away. This review is about item#37662371. The usual shoes are 25.5, but the 25.5 size here was a little big. Since the sole of the shoe is hard, the sound of walking is also great. I do not have any shoes of change. This review is about item#37662231. It was relaxing and easy to wear. It is regrettable that there was no substitute cord of the accessory. This review is about item#37662186. It is very easy to wear and the feet do not get tired even when wearing for a long time. It's hard to walk, it's hard to walk, rather than walking difficult. This review is about item#37662265. As a result of a week, it was light and easy to wear shoes. After that, how about durability? This review is about item#37662362. This review is about item#37662317. Although it was shipped within 6 days, it arrived in 3 days from the order. I am satisfied that the price is cheap. This review is about item#37662396. It is hard to walk because the soles are hard. It is dangerous. I will slide even a little wet. I was impatient by sliding on the brake pedal while driving. It was dangerous just to use it for two days so it was discarded. This review is about item#37662256. I feel that design and coloring are very elegant. It seems that weight is not much different from ordinary sneakers, and feet tiredness is not felt even for long time use. It is excellent in waterproofing, even if you go to wash a couple of cars, there is no flooding and socks will not get wet. It is a dirt resistant material, even if it gets dirty, it fell easily with detergent or silicon off, there is no discoloration or change of the material. I also use it for commuting. Eventually I live on this sneaker day. We are satisfied with purchasing two other staff of the company! This review is about item#37662213. 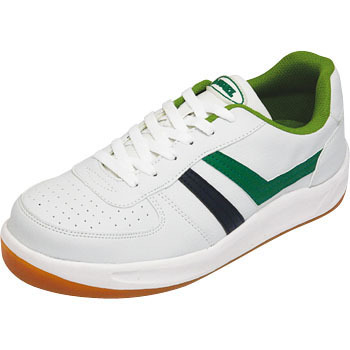 804 Safety Hoot Ware, "Safety Sneaker"